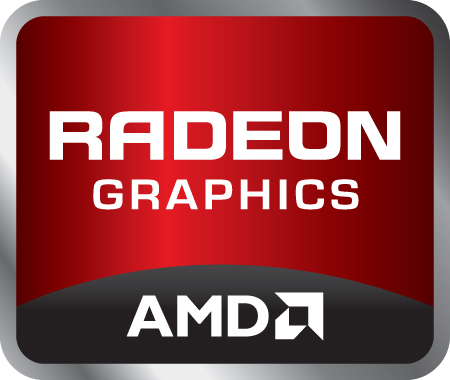 The AMD Radeon HD 7690M is a fast middle-class graphics card for laptops introduced in 2011. It is at heart a renamed Radeon HD 6750M with a 100MHz increase in memory clock speed on models sporting DDR3 VRAM. Therefore, the GPU is still built in 40nm with DirectX11 support. According to AMD, select DDR3 models are available based on the faster clocked Thames-XTX chip. The similarly named Radeon HD 7690M XT is based on the same architectural core as the 7690M, but offers higher clock speeds with GDDR5 memory. In essence, the XT variant is a renamed Radeon HD 6770M. The integrated 480 Stream processors are still based on the 5D architecture found in the Radeon 5000 series. Therefore, the number of shaders is not directly comparable to the 1D cores of current Nvidia GPUs. General Tessellation performance of the Radeon HD 7690M card should be comparable to the desktop 6800 series. The Stream processors can be used with DirectX 11, OpenGL 4.1, DirectCompute 11 and OpenCL. The latter two features enable the AMD core to transcode videos and perform general computations. The 3D performance of the HD 7690M is slightly better than the average GeForce GT 550M and is therefore positioned in the upper middle class as of 2011. Demanding games like Anno 2070 or Skyrim can only be played in medium detail settings and lower resolutions. Even more demanding games, such as Battlefield 3, may only run fluently in low detail settings. Older games like Call of Duty: Black Ops are playable with all settings maxed. The new UVD3 video decoder supports the decoding of MPEG-4 AVC/H.264, VC-1, MPEG-2, Flash and now also Multi-View Codec (MVC) and MPEG-4 part 2 (DivX, xVid) HD videos on the AMD graphics card. Furthermore, the HD 7600M series integrates an HD audio controller to transmit HD Audio (TrueHD or DTS Master Audio) over HDMI and DisplayPort (e.g., for Blu-Ray videos). The AMD HD3D Technology offers support for Blu-Ray 3D and 3D displays (integrated and external). This solution, however, is not as mature as Nvidia's 3D Vision in terms of drivers and general software support. Thanks to Eyefinity, the HD 7690M is able to theoretically drive up to 5 monitors simultaneously. Note that this would only work if the laptop features enough DisplayPort outputs to begin with. The power consumption of the HD 7690M should be similar to the Mobility Radeon HD 6750M and is therefore usually found in 15-inch or larger notebooks with more powerful cooling solutions.